Since I started writing my fashion blog I have appeared in various fashion magazines and websites following major race meets such as Royal Ascot & Glorious Goodwood. 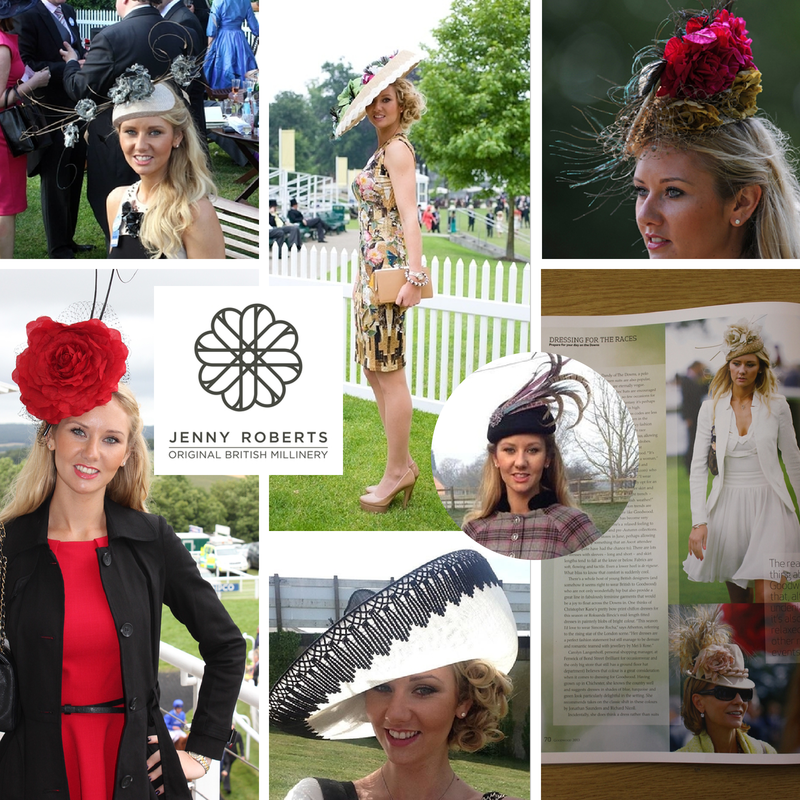 (Please see my In The Press Page) In the majority of these features I have been wearing beautiful millinery by Jenny Roberts. Jenny has very kindly made bespoke hats to match my dresses, all of which are now available to hire directly from Jenny. I cannot wait to see what she has in store for me this year!! Jenny Roberts offers a wide selection of beautiful hats and headpieces to hire as well as bespoke pieces which can be commissioned to order to perfectly compliment your special outfit. Jenny aims through individual consultations to provide you with unique millinery which compliments your outfit, faceshape and befits your special occasion. JR Millinery prides itself on intricate workmanship, flair for styling, honesty with clients, an eye for choosing a style which works and this has all culminated in a reputation for fantastic individual service. Please see below some of the beautifully handcrafted pieces which I wore in 2013. January 2014 saw the move into a larger studio in the centre of Harrogate above Lynx Womenswear at ‘Millinery on Two,’ 20 West Park, HG1 1BJ, which is more accessible to our clients whilst still operating an appointment only service to ensure one on one attention.